Vicki Hamilton is the CEO/Secretary of Gippsland Asbestos Related Disease Support Inc. (GARDS), a non-profit, non-government voluntary organisation that supports those affected by asbestos-related disease (ARD) in the Gippsland region of Victoria. She was born in the Latrobe Valley in 1958 and has been personally touched by asbestos; both her father and grandfather died from ARD after being exposed to asbestos when working at the State Electricity Commission of Victoria (SECV). Vicki’s father and grandfather worked for the SECV in the Latrobe Valley and Vicki and her family had to watch both die from asbestos related disease. Vicki was not aware of GARDS until after her father had passed away, but the tragedy that befell her family drove her to become involved with the organisation. Nearly everyone in Vicki’s family has been exposed to asbestos, including her mother, her husband and Vicki herself. So far they have no signs of asbestos related disease, but Vicki is very conscious of that fact that she has inhaled asbestos dust on numerous occasions. 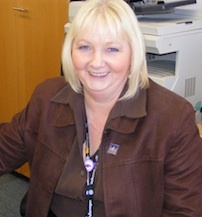 As CEO/Secretary of GARDS, Vicki’s role is varied and all encompassing. As the only non-volunteer, Vicki plays a large organisational role, speaking at functions and events about asbestos awareness, advocating, lobbying and supporting the members who visit the office or call her at any hour of the day. Seeing the terrible toll asbestos related disease takes on the sufferers and their families is tough for Vicki, particularly when she befriends so many of the people she supports. Having a counselling session once a month is a way for Vicki to off load some of that emotion and allows her to continue with her work. The hardest thing to grapple with, she says, is that preventable asbestos related disease has affected, and continues to affect, so many people. Many GARDS members who require the use of an oxygen concentrator are not eligible to receive one free from the Government funded equipments program as their oxygen levels are not low enough to meet the government-set benchmark. GARDS helps its members by lending oxygen concentrators and conserving devices free of charge, as well as other medical equipment. Vicki and other GARDS volunteers run tutorials for medical students at Monash Universities in Clayton and Gippsland. Here, Vicki describes the rewarding moment when a past student came to thank her for what she had taught him about the impacts of asbestos related disease. Vicki can remember making speeches about asbestos awareness to tradesmen in the past and being heckled. Years later she now makes speeches to attentive audiences who have a much greater knowledge of the dangers of asbestos. However, Vicki says more work needs to be done to broaden asbestos awareness. Vicki says the greatest necessary challenge associated with raising asbestos awareness is getting governments to spend money and she would like to see unified services, education programs and research making a difference in Australia. In turn she thinks this would influence other countries still mining asbestos. Vicki says that we will still be talking about asbestos for many years to come, with experts predicting the number of people with asbestos related diseases to peak between the years 2020 and 2050.